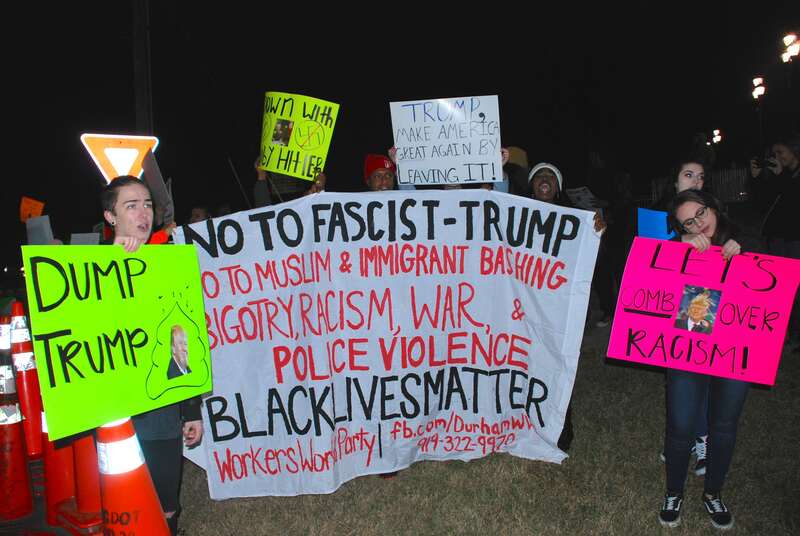 North Carolinians organized a counter protest against Donald Trump’s speech at Dorton Arena in Raleigh on December 4, 2015. 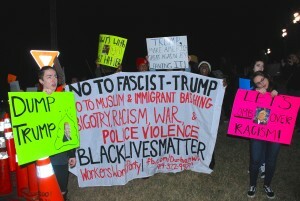 Activists from immigrant rights, BlackLivesMatter, anti-Islamophobia, worker rights and other movements participated in the counter-rally. They were united in their opposition to racism and oppression. 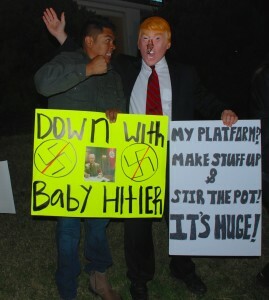 This rally was organized outside the venue of the speech. His speech was disrupted ten times by protesters who attended the speech in Dorton Arena, Raleigh. North Carolina witnessed a rise in Islamophobia in 2015 Some notable Islamophobic events included murder of three Muslim students in Chapel Hill, NC, and Islamophobic attacks against Imam Khalid Griggs at Wake Forest University. Peace and justice loving North Carolinians have organized against rising Islamophobia. They have connected Islamophobia to anti-Black racism and other forms of oppression. MERI (Movement to End Racism and Islamophobia) was established to fill that unique niche. 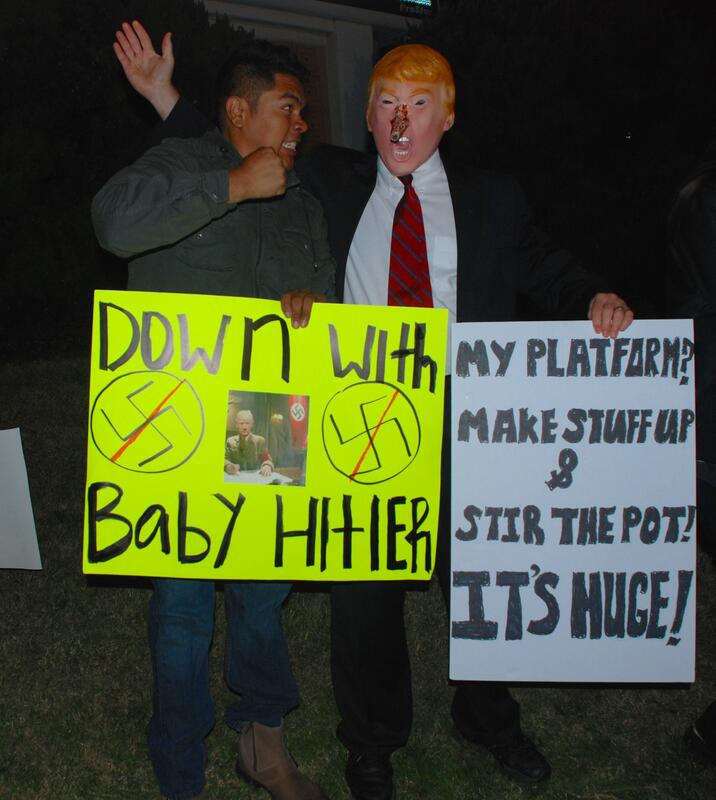 Donald Trump’s remarks against Muslims, immigrants, African-Americans, women and other marginalized communities have caused an outrage amongst progressive community members. 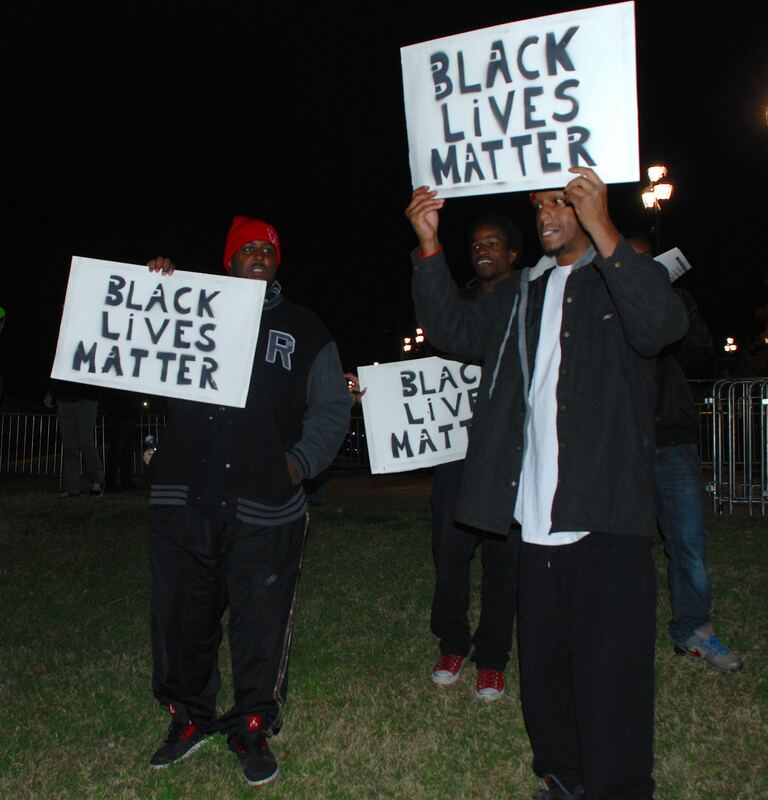 As a result, a protest was organized against his speech on December 4, 2015, in Raleigh. 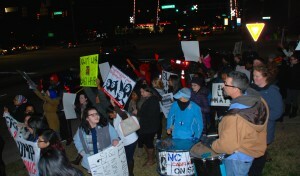 This protest was covered by the national media. Check pictures and news links from this protest. Donald Trump Ends Speech After 10 Interruptions. MSNBC, December 4, 2015. 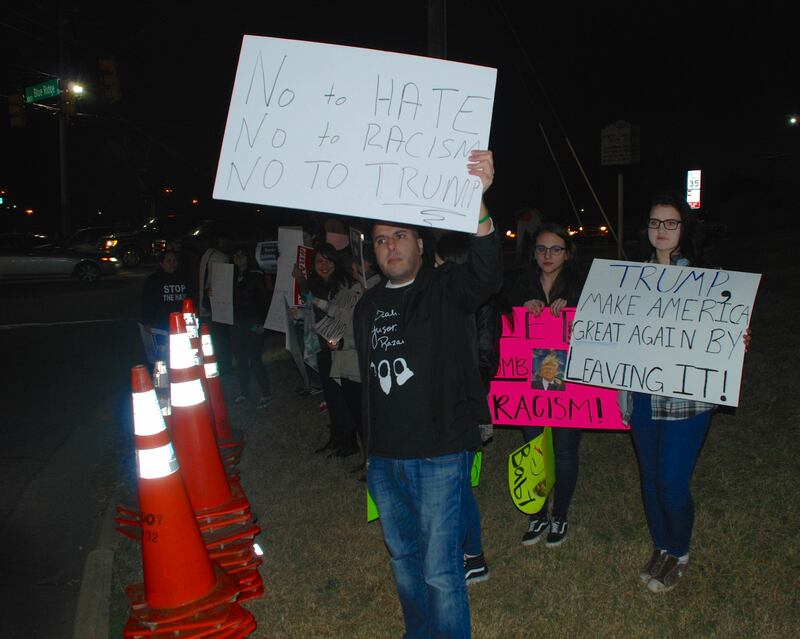 Speech Disrupted in North Carolina, Protesters Just Keep Coming. The New York Times, December 4, 2015. Why I Protested. By Emma Akpan in RH Reality Check, December 16, 2015.